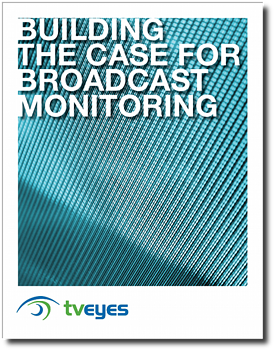 Free Playbook Helps You Make the Business Case for Broadcast Media Monitoring. Our exclusive playbook covers all the ways an organization can benefit from broadcast monitoring. It will help you make the case that broadcast monitoring can provide a healthy ROI by helping you avoid crisis, take advantage of emerging opportunities and manage reputation effectively. Get your free Building the Case for Broadcast Monitoring playbook today!